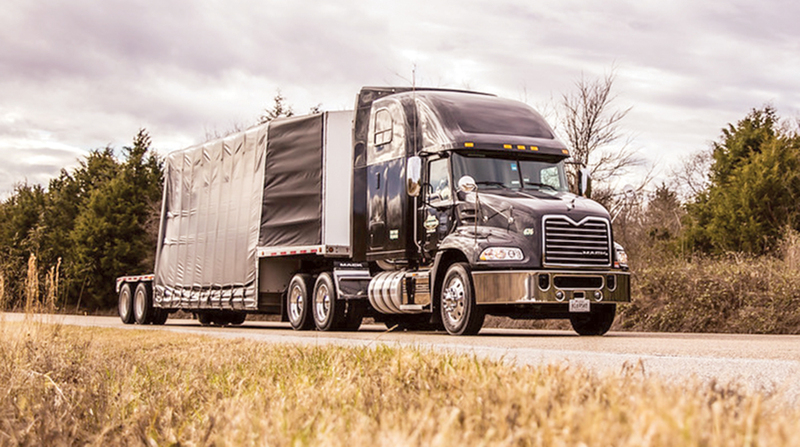 Flatbed and specialized transportation carrier Daseke Inc., which has been in the throes of expansion — adding seven fleets last year and one so far in 2018 — has created a new unit to improve the way it buys, sells and maintains the thousands of pieces of equipment it operates. The Addison, Texas-based company has formed Daseke Fleet Services and added a three-person team, formerly with Swift Transportation, to integrate the changes at its operating divisions. Daseke Inc. ranks No. 42 on the Transport Topics Top 100 list of the largest for-hire carriers in North America. It ranks No. 2 on the TT sector list of the top flatbed/heavy specialized carriers. Two goals in place for DFS are to generate a true dollar savings and additional cost-per-mile data, Wheeler said. Daseke prefers to operate new equipment that is under warranty, then have most of the major repairs done over-the-road through the dealer network, he said. That approach means the fleet is “trying to figure out are we getting optimal — not just pricing of parts — but availability of the parts that matter to us,” he said. That includes the flatbed and open-deck business, too — having ready availability of the right kind of chains and tarps. Asked how many equipment providers Daseke deals with now, he said the answer is all of the above. Its two largest vendors of Class 8 tractors are International Truck, a unit of Navistar Inc., and Kenworth Truck Co., a brand of Paccar Inc.
“It is pretty interesting because we can really see how different tractors perform, and one of the great uses of Daseke Fleet Services will be to take that information and make sure we are disseminating it well inside our own company to make continually better and better decisions,” Wheeler said. The newly hired personnel include: Brett Thompson, vice president of purchasing; Erek Starnes, vice president of equipment operations; and Gloria Pliler, director of purchasing. They each have more than 30 years of trucking industry experience and will be joined by Daseke Director of Procurement Ken Snyder. “Where they might have been in a really strong execution mode [at Swift], here they get to be a little more entrepreneurial. So I think it is exciting,” Wheeler said. “Daseke intends to absolutely have best-in-class operations in the acquisition, ownership, management and disposition of our revenue-producing equipment. And we needed a world-class team who could do that. And we believe we found them,” he added. The company operates a total of 5,211 tractors and 11,683 trailers.